It is the time of year when I start spending more time outdoors and being more active. Rex and I love to go for hikes and bike rides together. I want to make sure I stay hydrated so I was excited to try Cocogo. 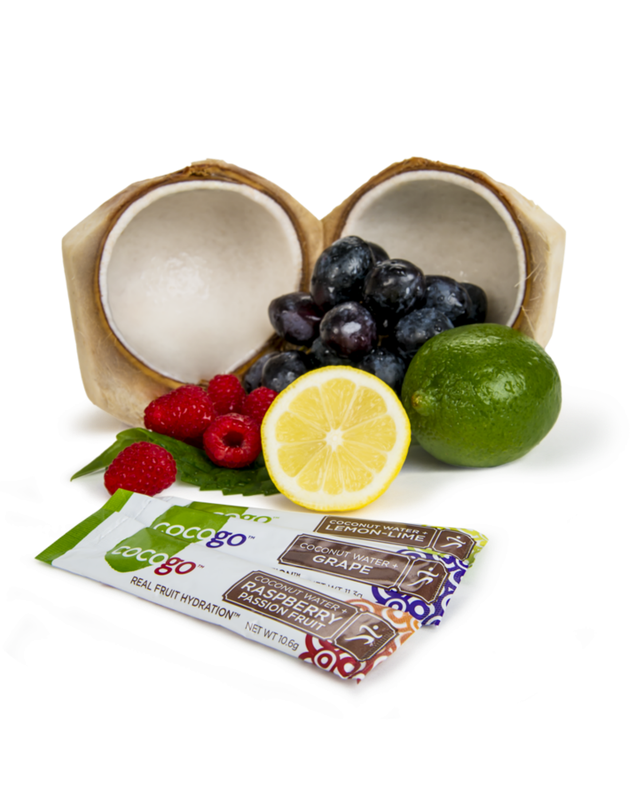 Cocogo is a premium sports drink made with real fruit and coconut water in a pack that you just add to water. It is really good tasting. I am really don’t like sports drinks but Cocogo taste good. It comes in 3 great flavors Grape, Lemon-Lime and my favorite Raspberry Passion Fruit. They are all natural so are not overly sweet. 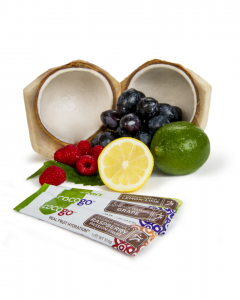 Cocogo offers the best balance of electrolytes, contains an ideal blend of sugars, and has seven essential vitamins. Rex likes Cocogo to when he goes to the gym he said it gives him steady energy and his muscles don’t cramp up. In the past he would come home and complain that his calf cramped up but since he has been drinking Cocogo he has had no problem. I like that you can customize the amount of Cocogo to match what you are doing – just need to quench your thirst add 1 or 2 packs to your 14 ounces of water, need to renew and feel refreshed – 3 packs, but if you are in for a heavy duty work out or game you will want 4 packs added to your 14 ounces of water. You can buy Cocogo HERE online. You can also find it in some stores nationwide. You can connect with Cocogo on Facebook.